Do you know that your customers may spend 3 to 20 percent more if you respond to their queries? Or that 42 percent of customers who complain on social media expect a response within an hour? With consumers spending hours each day on social media, you need to ensure that your customer care strategy is primed for social channels. With social media platforms like Facebook, Instagram, LinkedIn, Twitter, forums and blogs growing in prominence, consumers and business customers alike will gravitate towards social channels to express their feelings towards your brand. How you respond on these public digital arenas may mean the difference between success and failure. The good old days of answering an email within 48 hours are gone. These days, consumers expect almost instant replies to their queries and complaints on social media. If you fail to do so, you may end up losing 30 percent of these customers to your competitor. Thanks to a massively huge infographic by Website Builder on social media customer care, you peruse practically all the important facts and figures about social media customer care and use these to build up your case. Why Social Media for Customer Support? 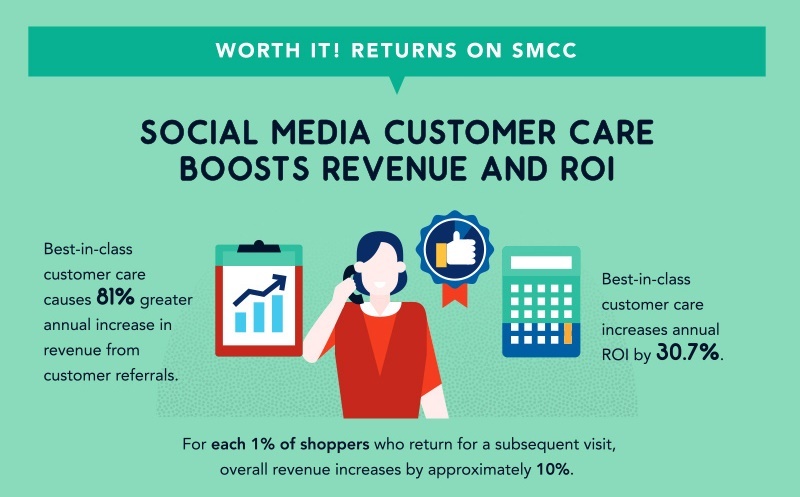 There are lots more juicy statistics on social media customer care. They include data on how customers respond on different social media channels like Facebook, Twitter, Pinterest, Instagram and SnapChat, possible tools you can use to manage your social media communities, as well as the positive social media ROI you can gain just by being super responsive to your customers on social media. 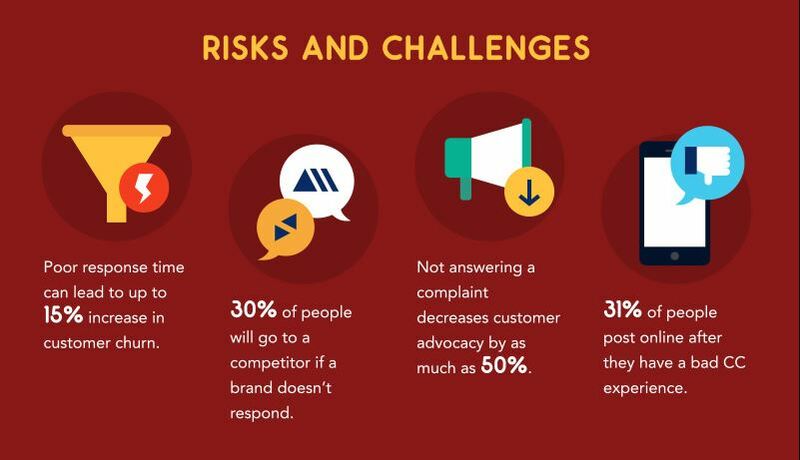 You can also learn some interesting statistics on how responsive the most customer focused brands are on social media, and pick up some useful tips on social media customer care for your own company.